When I began switching to a gluten-free diet, I noticed my on-the-go breakfast options becoming much more limited in choice. Breakfast is definitely the most important meal of the day (even though brunch is my favourite), but I’m never in the mood to eat around 7am. In the past, this wasn’t that much of a big deal – I would skip breakfast most days – or pick a croissant up from Pret on my way in. I’ve recently started a new job, and they offer breakfast – but none of it is gluten-free, and the usual coffee shops chains don’t offer much choice for those of us who can’t tolerate gluten. 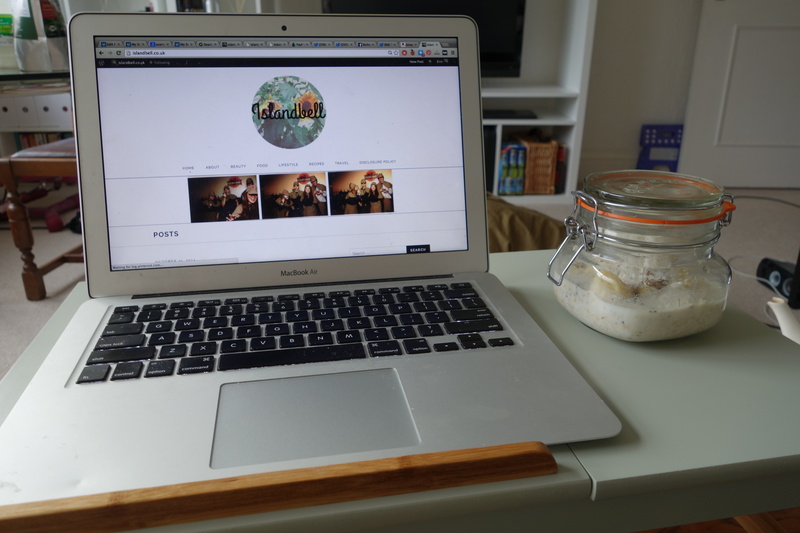 After a few days of getting breakfast food-envy, I started looking at other options and came across overnight oats – a healthy, delicious start to the day you can have al desko. I’ve become obsessed – I’ve tried a few recipes, but I adapted this one to best suit my personal taste. 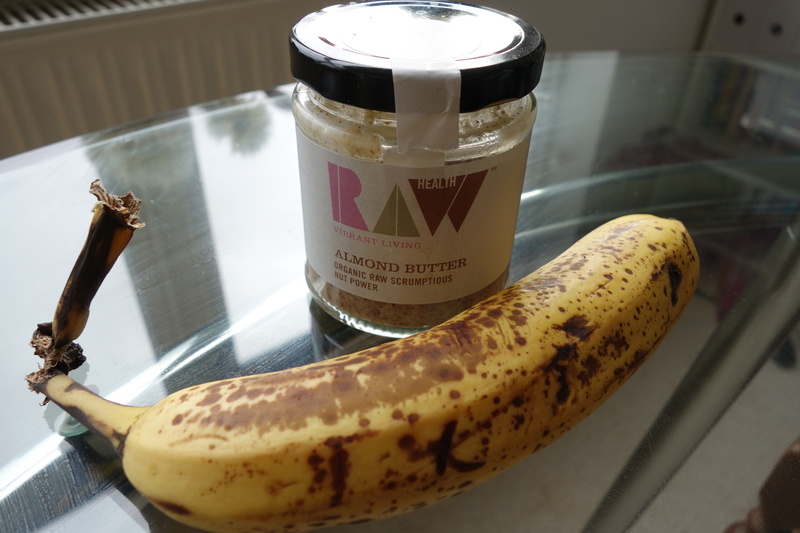 The almond butter and desiccated coconut makes it seem indulgent while still being healthy – and as you make them the night before, all you have to do is, to paraphrase the words of Dolly Parton: tumble out of bed and stumble to the kitchen…. and to the fridge on your way out. 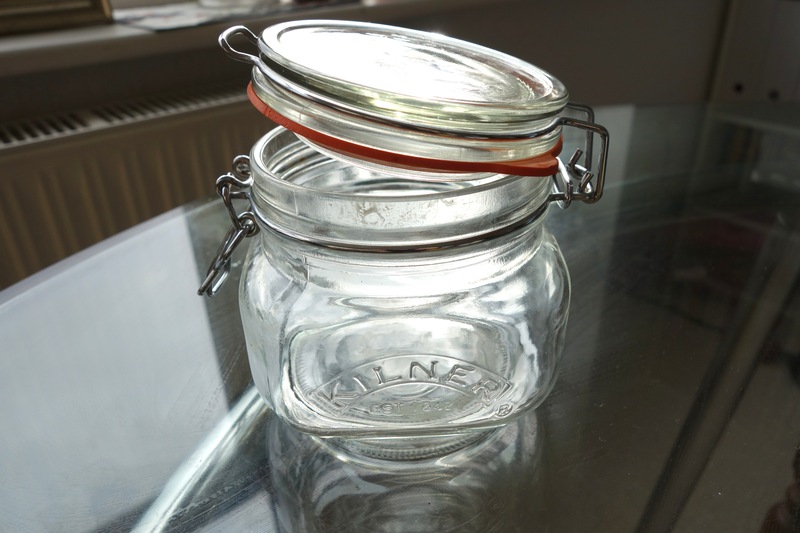 I’ve been using this Kilner jar for my overnight oats – it’s the perfect size, without being too bulky, but with a good seal which makes it okay to shove in my handbag. 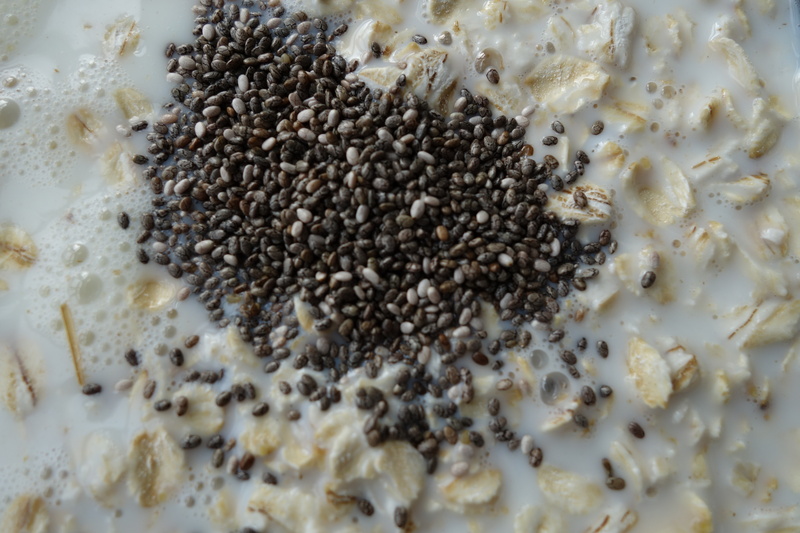 This is a great on-the-go breakfast for the summer months! It's gluten-free and so simple to do - and healthy, too! 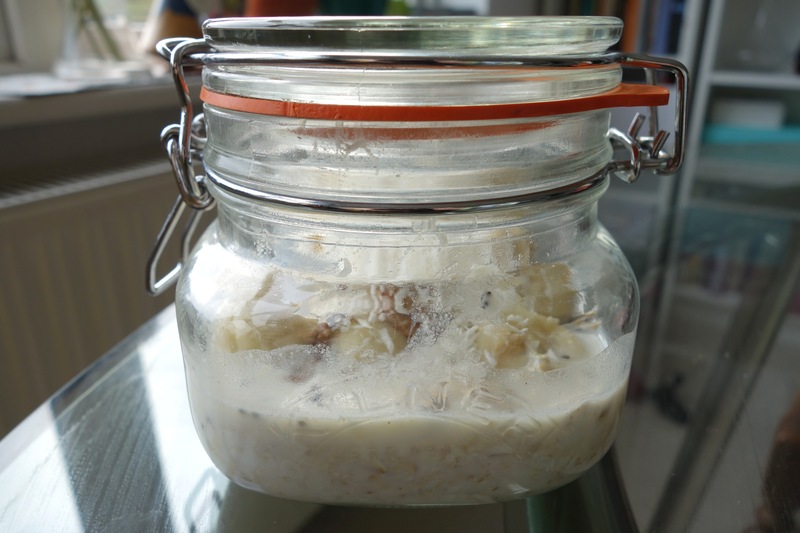 Combine milk, yoghurt and oats in your jar and stir. You can always skip the yoghurt, but it makes it creamier and adds more depth to the flavours. Chuck in the chia seeds, vanilla protein powder and maple syrup. 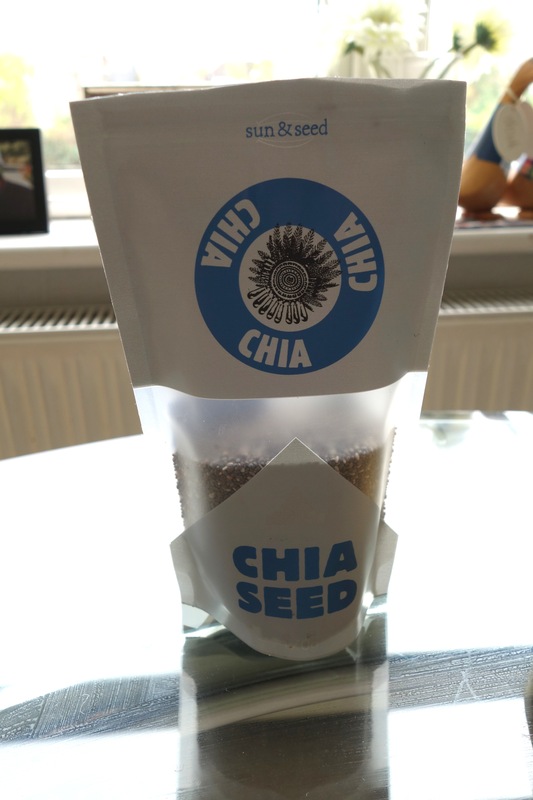 The chia seeds help to soak up the liquid, and are a great source of fibre, protein and calcium. 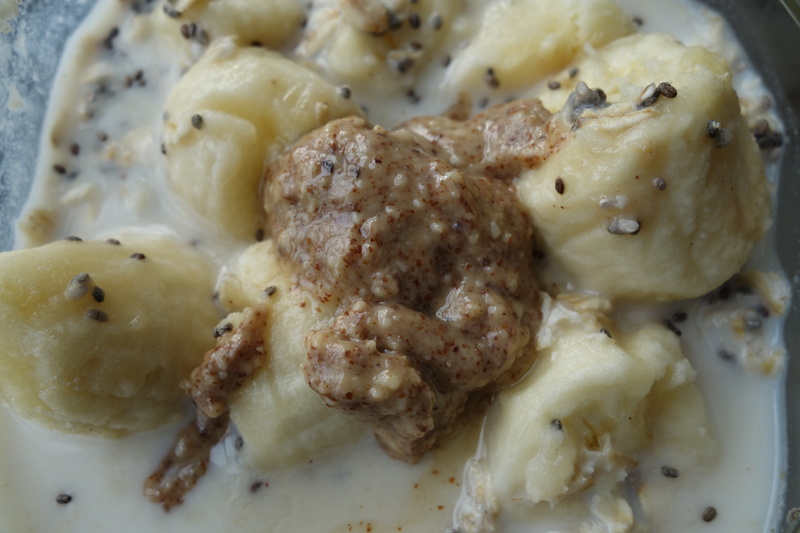 Then add chopped pieces of banana. The riper they are, the better! Top it off with a tablespoon of almond or peanut butter. 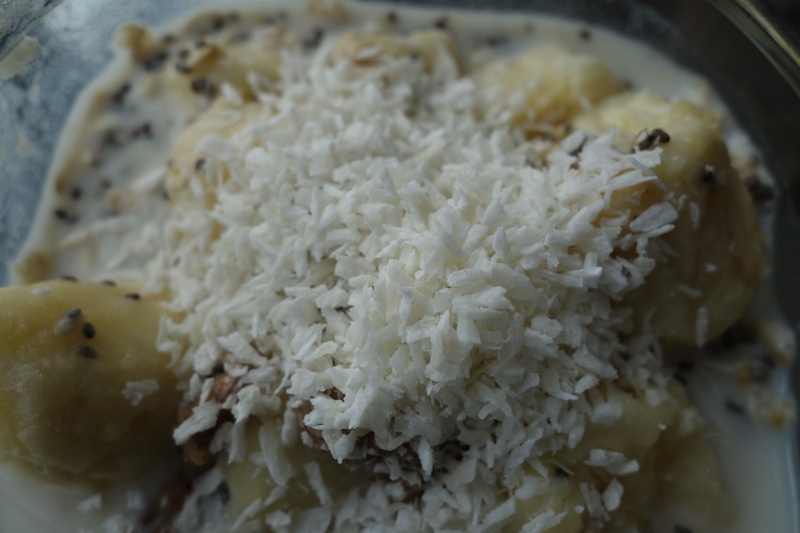 Sprinkle with desiccated coconut and your work is done, once you've popped it in the fridge. The next day, give everything a good stir before digging in! For this recipe – or any, even – I recommend getting this Cook’s Measure from Tala. After living in New York for 10 years, half of the recipes I’ve remembered are in cups and the other half are in grams, and this measure has been an absolute lifesaver. Since I’ve been bringing these in I’ve found myself with much more energy in the morning, and feel more full and sated. The best part is, I know exactly what’s going into each and every pot, and it tastes better than anything shop bought! 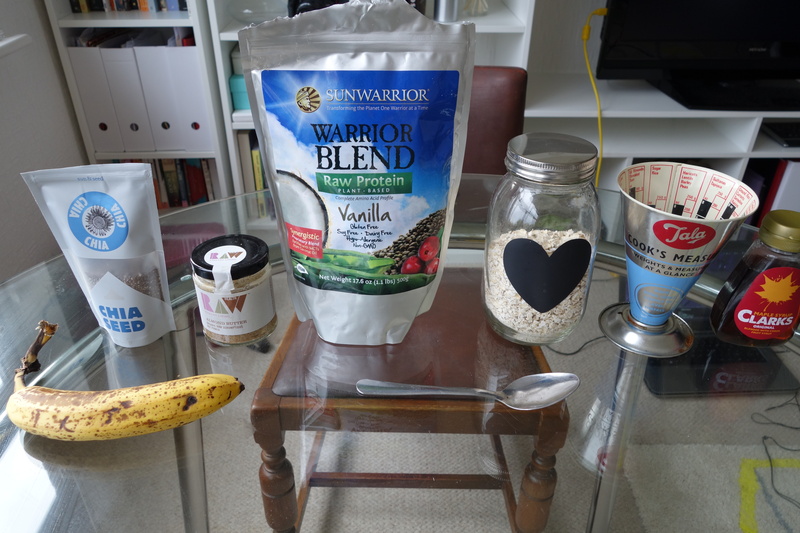 Have you tried overnight oats? What are your favourite things to eat al desko?